Nick and I had a conversation the other night. It went something like this. "I was on Facebook scrolling through the comments about Eminem's new album cover and the mysterious nod to a past influence," Nick said. Nick is crazy smart about music. And many other things. 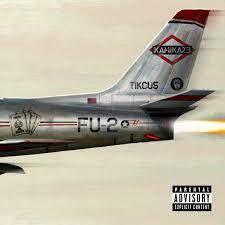 "The new Eminem album looks like the 1986 Beastie Boys Licensed to Ill debut album." He pulled up the albums. Um, yes. He was right. "I scrolled through a bunch of comments. The comments are all over the place. Luke posted about it. You remember Luke?" I remember Luke. Nick used to work with him. "Well, Luke responds in a huge paragraph that has two sentences. Long sentences. Sentences that run into each other and don't have any separation." He's annoyed. "And words like 'cause' are spelled 'c-u-z'"--I consider telling him that "cause" isn't really a word, but I let it be--"and" he had another spelling example here that I don't remember. I called him out at this point. "Neither one of us is very good at spelling. And you write run-on sentences." "Yeah, but this is unreadable. If someone has something to share on social media, they should be able to communicate what they are trying to say." This is a familiar topic for us. "Are you more annoyed about the grammar or that nobody seemed to recognize the similarity between the two albums?" "I guess that no one recognizes the album cover," he said. "There's this one post about how kamikazes were in World War II, and the plane is a jet--probably not made until the 1960s. They're missing the point." We have gone over this territory before. I rarely go on Facebook or any social media. Sure, everyone has an opinion, and it's great that everyone has an opinion. The tough thing is that critical thinking and listening to others seems to be on the decline. I believe the trend in educational system and literary school of thought has strayed from any literary thought that looks for context--history, tradition, relevance, etc--outside of self. 30 years ago, reading Shakespeare meant studying the history and the politics and the traditions and the text. My experience with education shows that these are too difficult, irrelevant, and often offensive to many people. The only context that is important is the self--and no answer is incorrect. Everyone's opinion is valid--even if it has no relevance to the current book. Throw grammar in here. Language is a marvelous, evolving monster, and to impose formal rules on children can stifle creativity and overwhelm them. I am no grammar nazi. I believe that in most contexts, if you can communicate to your ideas, you are successful. On the other hand, the extreme tendencies in some schools to avoid grammar and context in reading makes the social media craziness an unsurprising outcome. I tell Nick as much. Then, we're back to Eminem. 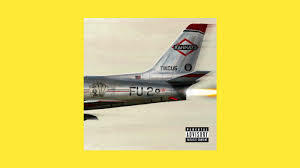 "Everybody seems to have an opinion about the album cover," he said, "but no one seems to make a connection to Beastie Boys." "Everybody voices their ideas," I said, "but no one seems to have a context or reason for what they are saying?" "Yes. And I can't make sense of a lot of it," Nick said. "Or maybe we are just getting old."